Paint is the only thing we know,” says 67-year-old Kuldip Singh Dhingra. It is the only business that the family has involved itself in for five generations. Yet neither Kuldip nor his brother Gurbachan Singh Dhingra, 64, interfere with the running of the Rs 3,384 crore Berger Paints, the second largest paint company in India with a market share of 18 percent. For all their industry knowledge and expertise—which spans the better part of their lives—the brothers follow a philosophy that may seem antithetical to the way business families run their companies. Kuldip and Gurbachan, who are chairman and vice chairman of Berger Paints, hold no executive position in their company. The family is based out of Delhi while Berger Paints is headquartered in Kolkata. Even though they have tried their hand at various paint businesses in the past, the Dhingras limit themselves to an advisory role in Berger. But it was their intimate knowledge of the paint industry that held them in good stead when they acquired the company from United Breweries chairman Vijay Mallya in 1991. Over two decades, under their guidance, Berger climbed from the fifth to the second position, which it has held on to for four years now. Last year, its stock outperformed sole rival and market leader Asian Paints on the BSE by 18 percentage points, increasing the brothers’ wealth by 56 percent to $1.92 billion and propelling them from the 53rd to the 49th spot on the 2014 Forbes India Rich List. They’ve achieved this with their insistence on a hands-off approach and are clear that their children, too, will do the same. 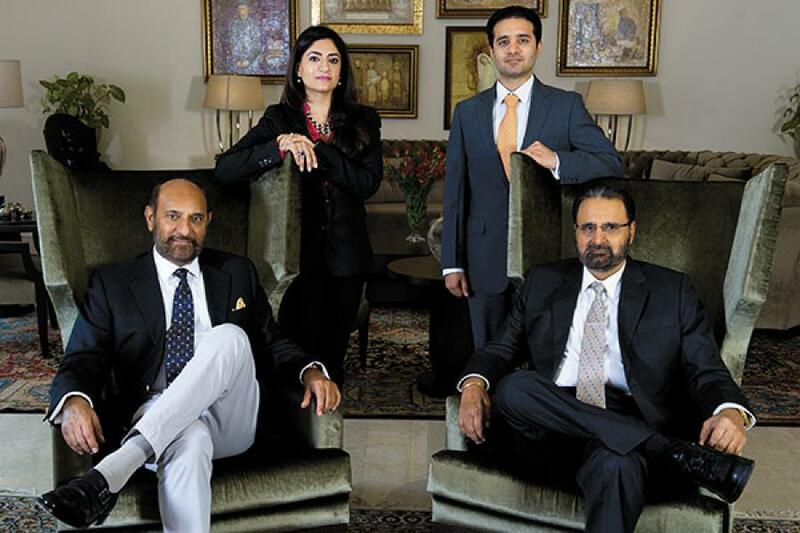 No one from the family will occupy the chief executive’s seat, the Dhingras tell Forbes India. 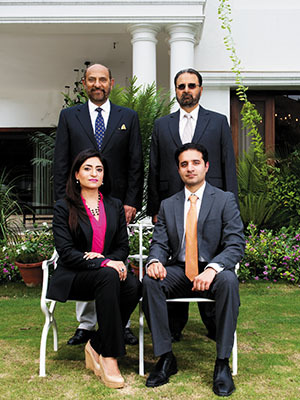 Kuldip’s daughter Rishma Kaur and Gurbachan’s son Kanwardeep Singh who, at present, are being put through their paces in the company will, in time, move on to the board. That is, only after they become proficient in every aspect of the business. “The sooner that happens, the better,” says a jovial Kuldip. Kuldip cites another instance when Berger’s management did not make full use of a contract they had signed with actor Katrina Kaif. She had not been featured in any television campaign. (This was more than a decade ago, at the height of her modelling career, before she entered Bollywood.) Kuldip “gently” suggested that the company use her in their ad campaigns, but it took a couple of years before Berger acted on his suggestion. Reason: It would upset the advertising budget. The brothers prefer to look at the bigger picture; they set targets and make strategic decisions. This is a role they adopted from day one. In 1990, Berger was the smallest player in the Indian market. To grow quickly, the company would have to offer discounts and give clients and distributors longer credit periods. “But if we had done that, then the management could blame us for not meeting targets. That was a situation we wanted to avoid,” says Kuldip. He knew that such aggressive and quick-fix strategies were not sustainable in the long run and would, at some point, affect Berger’s financial health. 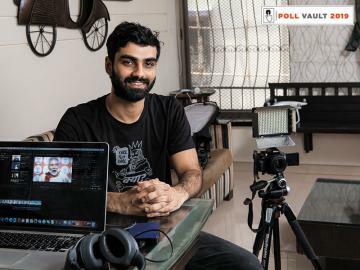 Rather than going down this path, he and his brother set achievable targets with only one rule: Grow faster than the industry and increase market share. This strategy was probably why it took Berger 20 years to outperform Nerolac, AkzoNobel and Shalimar. The company has several firsts to its credit which, it claims, have been copied by competitors. These include the low-maintenance product, Berger Easy Clean Paint, which is resistant to even the most stubborn stains. One product that is still one-of-its kind in the Indian market, it says, is an oil paint that has silicon in it. This technology prevents the paint from absorbing water and even helps ward off fungus. Such technological innovations further cement Berger’s position in the Indian market. In the last four years, it has outperformed its rivals on sales and profit growth. During this period, its compounded profit growth rate has been 20 percent a year compared with Asian Paints’ 13 percent. Margins, however, are still lower than that of the market leader. One of the reasons is that its main rival operates solely in the highly profitable decorative (paints we use in our homes) market. This segment accounts for 80 percent of Berger’s business. The remaining 20 percent is from industrial (painting cars, factories, and so on) contracts, which are not as lucrative. The Dhingras say that Berger’s Ebidta margins need to increase although they decline to specify by how much. Long-term projects are also exclusively dealt with by the brothers. They have expertise in purchasing. Their ability to negotiate a good contract came in handy when they entered into a joint venture (JV) with Nippon Vee Corp. “We negotiated that deal,” says Kuldip. The management had no part in cementing this JV as it was a strategic decision. “I have no complaints with this division of labour. When it comes to running the company, there is no interference from the owners,” says CEO and managing director Abhijit Roy. He was appointed CEO and MD in 2012. At the time, India had a closed economy. This meant that the Dhingras owned one of a handful of Indian companies that serviced an international market. For their Indian clients, they operated a much smaller brand, Rajdoot Paints—a later avatar of a paint business which their great-grandparents had set up in Amritsar in 1898. But most of their attention was directed towards UK Paints and the Russian connection. At this stage of their careers, they were actively involved with the running of their company and frequent trips to Moscow were par for the course. As trade with the Soviet Union became “wildly profitable”, Rajdoot and the Indian market were neglected. Kuldip remembers doing business worth Rs 300 crore annually with the USSR in the 1980s, a few years before the Soviet Union collapsed in 1991. This excluded excise, customs, sales tax and other levies. “But we could see that this was a bubble,” says Gurbachan. Then in 1990, an opportunity presented itself: Through newspaper reports, the brothers learnt that Berger Paints was up for sale. They were in Moscow at the time, but when they started making calls, they were told that Vijay Mallya, who was the seller, was on the verge of signing a deal with an unnamed Marwari family from Mumbai. The brothers rushed back to India and managed to get a meeting with the UB chairman through a distributor who was their neighbour in Delhi. For one year, though, the Dhingras left Berger to its own devices and continued to milk the USSR market before it collapsed. “We left it alone, but made sure that salaries which had been delayed were paid,” says Gurbachan. The company continued to operate from Kolkata (called Calcutta at the time). Once the Soviet Union was dissolved, and UK Paints shut down, the Dhingras turned to their Indian business. Here, there were faced with a dilemma. They could either take over the running of Berger or hold an advisory role and map out strategies for the company’s future. They chose the latter, and it has paid off richly. These days, they are busy with a new investment: They have made a modest start in what appears to be a promising insulations business (in a supervisory capacity) which they own in Poland. It runs on a technology that insulates buildings from heat or cold weather, and helps reduce electricity consumption. They hope to bring it to India at some point in the future. When the Dhingras are not meeting investors or starting new ventures, the brothers spend much of their time on a farm on the outskirts of Delhi, where they fish, farm, and press their own oil. Kuldip, however, has recently moved back to his bungalow next to The Claridges hotel in central Delhi. The brothers are justifiably proud of their heritage, one that they are building upon for the next generation. For now, they have no plans to try and topple Asian Paints from the number one position. Perhaps it’s a challenge their children would like to take on. In an advisory capacity, of course.